Is your president a socialist who has repeatedly apologized for his country? If you are an American, the answer to this question is no, despite apoplectic Republican claims to the contrary. If you are French, however, it is most certainly yes. 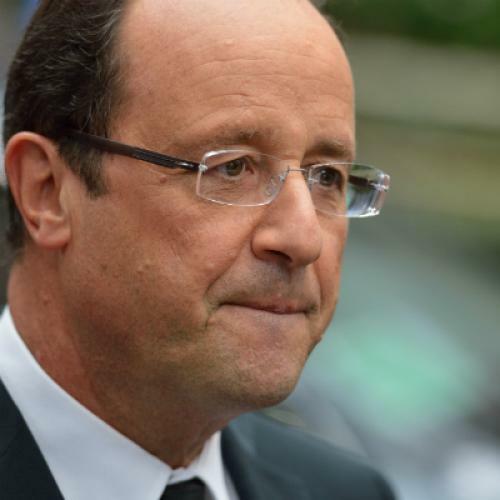 Not only is President François Hollande a proud Socialist; this year he has made two high-profile apologies for France. This summer, on the seventieth anniversary of the notorious “vel d’Hiv” roundup of Jews in Paris. he gave a speech acknowledging the country’s guilt in the deportation of Jews to Nazi death camps, And this past week, he ended official denials that the Parisian police had carried out a massacre of Algerian protestors in 1961, and paid homage to the victims. The two statements say a great deal about French public life today, about the country’s relation to its history, and about its widening differences from the United States. Both of the incidents for which Hollande apologized, in the name of the French Republic, were long hidden from sight. After the liberation of France in 1944, a battered and demoralized population consoled itself with the myth that all but a few traitors and criminals had resisted the Nazi occupation. The deportation of some 76,000 Jews to the death camps was blamed on the Germans. Only slowly, and in large part thanks to the effort of North American historians (especially Robert Paxton of Columbia) did the full sordid story emerge in the 1970s and 1980s. Most of the French had in fact supported the collaborationist government of Marshal Philippe Pétain for several years. Many had applauded, enthusiastically, anti-Semitic policies modeled on those of the Nazis. And while it was the Germans who demanded the deportation of Jews from France, the job of identifying, arresting and transporting these Jews was carried out entirely by French authorities, including the horrific, days-long incarceration of 13,000 Jews in the “Vel d’Hiv”—an indoor bicycle racetrack—without adequate food, water or ventilation. The 1961 massacre similarly remained, for decades, occluded in French public memory. It took place in the final stages of Algeria’s violent struggle for independence against France, after thousands of Algerians living in Paris staged demonstrations in violation of a curfew imposed on them by the Prefect of Police, Maurice Papon. Papon allowed his forces to disperse them with wanton brutality. The police itself gave an official death toll of three, but in fact, as many as 200 Algerians were shot, beaten or trampled to death, with some of their bodies thrown into the Seine River. It took nearly thirty years for French historians to bring these facts to light, and the exact numbers remain hotly debated. This reckoning has been closely linked to the reckoning with Vichy, in part because one of the officials who had organized the deportation of French Jews, only to move unscathed into a brilliant post-war career, was none other than Maurice Papon. Even as the historians revealed his role in the massacre, the French state finally decided to prosecute him for his wartime crimes (convicted in 1998, he died nine years later). François Hollande is not the first French head of state to apologize for his country’s role in the Holocaust. In 1995, President Jacques Chirac made a moving statement acknowledging France’s guilt. “That day,” he said of the Vel d’Hiv roundup, “France committed the irreparable.” But Hollande spoke at much greater length, and even more emphatically. “The truth is,” he said, “that this crime was committed in France, by France.” And neither Chirac nor his successor Nicolas Sarkozy ever acknowledged responsibility for the 1961 massacre. Apologies for acts committed on French soil, against French citizens and residents, are not exactly the same as President Obama’s supposed apologies to foreign countries. Yet Hollande clearly has no intention of ruling out further possible recognition of French misconduct. “There cannot be, and there will not be lost memory under the Republic,” he stated in the Vel d’Hiv speech. It is a remarkable line, implying that the Republic must take responsibility for all the crimes committed under its authority. Move far enough back in history, and the list grows very long, including especially the killings, expropriations, and attendant barbarities that accompanied both the creation of France’s large colonial empire in the nineteenth century, and that empire’s traumatic, violent dissolution in the twentieth. Like virtually every other country on earth, France has a lot to apologize for. Hollande’s speech in fact illustrates a remarkable shift in a country that helped invent modern nationalism in the age of revolutions, and that long had a well-deserved reputation for national chauvinism (a word that the French themselves invented in the early nineteenth century—it comes from a music-hall character of a patriotic Napoleonic soldier named Chauvin). Not only has France apologized for some past actions, it has also stopped boasting of others. in 2005, the government of Jacques Chirac quietly but firmly refused to mark in any but the most restrained way the bicentennial of the Battle of Austerlitz—arguably, the greatest French military victory of all time, carried out by Napoleon Bonaparte against Austria and Russia. Modern France, it was explained, had no business celebrating a bloodbath carried out by a repressive, undemocratic ruler as part of a campaign of naked imperial expansionism. In the United States, sentiments of this sort, apropos of the darker episodes in American history, are anything but uncommon in university classrooms. In politics, however, they have become virtually taboo. In the civil rights era, American politicians could speak frankly and eloquently about the ways that slavery and institutionalized racism stained the American past. In the 1980’s, Congress could pass legislation acknowledging the wrong of Japanese-American interment during World War II, and granting compensation to its victims. But in the past quarter-century, conservatives have successfully cast any attempt to discuss the country’s historical record impartially in the political realm as a species of heresy—“blaming America first,” as Jeanne Kirkpatrick put it as far back as 1984. A turning point of sorts came in 1994, when the Smithsonian Institution planned an exhibit of the aircraft that dropped the first atomic bomb on Hiroshima, accompanied by material that highlighted the human toll of the bombing, inviting debate on its morality. The outcry from conservatives and veterans groups was deafening, and few politicians dared to defend the Smithsonian, which eventually canceled the exhibit. It would be wrong to say that the French have moved away from sentiments of patriotism and national pride. But the country’s cultural and political elites now tend, overwhelmingly, to phrase their patriotism in terms of “ideals” and “values” to which, they readily admit, the country has often failed to live up. President Hollande’s Vel d’Hiv speech expressed this sentiment perfectly. If the crime was committed “in France, by France,” it was also committed “against France, against its principles and its values and its ideal.” High among the qualities generally cited in this connection are a commitment to peace, to international cooperation, and to cultural toleration, as befits men and women who envision their country as a hub in an ever-more-integrated global economy, and as a part of an ever more closely-knit European Union. Both of France’s major political parties, Hollande’s Socialists and Sarkozy’s UMP, embrace this stance of “openness” to the world (as the political scientist Sophie Meunier phrases it). It only finds real opposition among the anti-capitalist radicals of the far left, and the reactionary nationalists of the far right. And openness to the world tends to prompt the rejection of narrowly chauvinist national pride, and a readiness to admit one’s own country’s faults and crimes. True, an important current within the UMP has called, as Nicolas Sarkozy put it upon his election in 2007, to “have done with repentance” (he called it a “form of self-hatred”). The party, after all, traces its descent back to that supreme exponent of French national pride, Charles de Gaulle. In 2005, disgusted with the emphasis on the dark side of French imperialism in school curricula, UMP deputies successfully sponsored a measure demanding that schools teach “the positive role” of French colonialism. This summer, some in the party attacked Hollande for the broad language of his Vel d’Hiv speech, arguing that Vichy did not stand for all of France (de Gaulle himself, of course, rejected Pétain’s authority and proclaimed his own government in exile). This week, others accused Hollande of undermining the authority of the police by his statement on the 1961 massacre. Yet in practice, denunciations of “apology” play much less well in France than in the United States. The 2005 schools measure was widely ridiculed and soon repealed. François Hollande promised to recognize the 1961 massacre during the presidential campaign last year, and still handily defeated Sarkozy, who did not use the issue against him. Defenders of Hollande’s Vel d’Hiv speech have pointed out that the new President was following the precedent laid down by a previous apologist-in-chief, the UMP’s Chirac. And anyone who strikes an overly contentious nationalist pose in French politics risks association with the far-right National Front, whose founder, Jean-Marie Le Pen, has predictably denounced Hollande, declaring that only God has the authority to recognize French guilt or innocence. In France, in short, apologizing for your country can be good politics. It is in America where being a politician means never being able to say you’re sorry.